Building the world's first synthetic eukaryotic genome together. Chemists first probing the structure of matter used analytical approaches, describing what they perceived. They subsequently gained a far more thorough mastery of and insights into chemical compounds by synthesizing them. Biology is now undergoing a similar transition from the age of deciphering DNA sequence information of the genomes of biological species to a synthetic genome age; and this transition demands a whole new level of biological understanding, which we currently lack. This transition has been noted as a new discipline, “Synthetic Biology”, and the discipline had its first meeting in 2004 at MIT. While synthetic biology has many facets, a sub-discipline termed “synthetic genomics” seeks to build genomes of various types. The Craig Venter Institute built a synthetic bacterial genome, and George Church, Farren Isaacs and colleagues have engineered the E. coli genome using an innovative platform called MAGE and genome synthesis methods. An important practical goal of synthetic genomics is to develop generic platforms for biotechnology as well as solutions to societal problems such as the looming energy crisis and bioremediation. We are using the yeast S. cerevisiae as the basis for a synthetic genome. This organism has 16 linear chromosomes and a relatively compact (~14Mb total; ~12 Mb nonredundant) and well-understood genome. 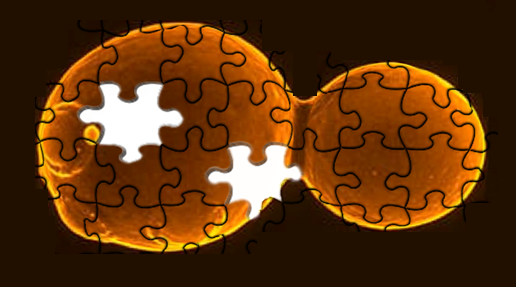 The synthetic yeast genome can be used to answer a wide variety of profound questions about fundamental properties of chromosomes, genome organization, gene content, function of RNA splicing, the extent to which small RNAs play a role in yeast biology, the distinction between prokaryotes and eukaryotes, and questions relating to genome structure and evolution. The availability of a fully synthetic genome will allow direct testing of evolutionary questions not otherwise approachable. The eventual “synthetic yeast” being designed and refined could eventually play an important practical role. Yeasts, and Saccharomyces cerevisiae in particular, are preeminent organisms for industrial fermentations, with a wide variety of practical uses including ethanol production from agricultural products and by-products.